Everyday Bangkok Hostel is located on Sap Road, which is where Surawong Road and Si Phraya Road connect. Si Phraya Road is an old road, flanked by old buildings and authentic shops selling handicrafts, many of which have been there for decades. Surawong Road is near Patpong area, where many Japanese restaurants are located, serving authentic Japanese flavors. Next to it is Soi Thaniya, which connects to Silom Road. In addition to our distinctive concept, vibrant dÃ©cor, and hospitable staff, our great location is also another highlight. Only 5 minutesâ€™ walk away from Samyan MRT station, it is a great starting point for your everyday journey. Here is also a friendly place for you to meet fellow travelers from around the world. Everyday Bangkok Hostel is ready to offer great experience and beautiful memories for all our guests, and you will feel that â€˜24/7 in Bangkok is unforgettableâ€™. 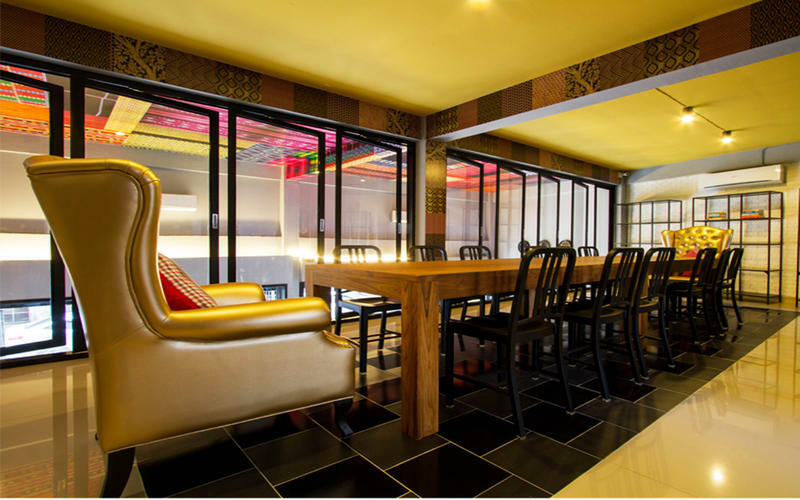 Everyday Bangkok Hostel offers 4 room types, 17 rooms in total - mixed dorm, lady dorm, twin bed room (with shared bathroom), and double bed room. 1. MRT: Everyday Bangkok Hostel is only 5 minutes away from Samyan MRT station. 2. BTS: Only one station from Samyan MRT station is Saladaeng BTS station. 3. Airport Link: From Suvarnabhumi Airport, take Airport Link to Makkasan, and take the skywalk to Petchaburi MRT station. Continue to Samyan station. The journey takes about 45 minutes in total. 4. Chaophraya speed boat: It only takes 30 minutes from the hostel to Si Phraya pier by walk, or only 10 minutes on bus number 36.